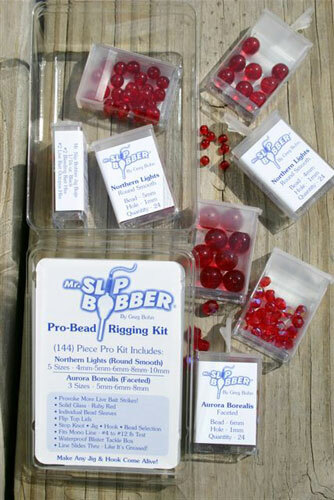 Home / Mr. Slip Bobber® Tackle / NEW* Mr. Slip Bobber Pro-Bead Rigging Kit! 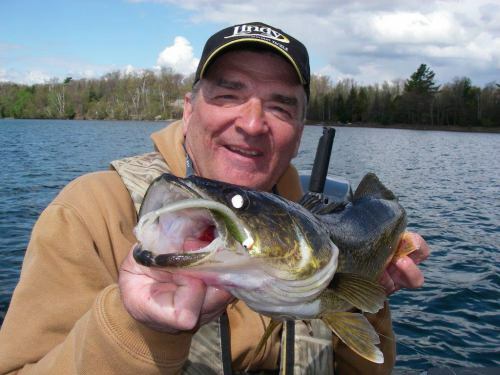 The Mr. Slip Bobber (144 Piece) Pro-Bead Rigging Kit by Greg Bohn will increase your walleye catch by provoking more Slip Bobber and "Live Bait" strikes! As much as 50% more! 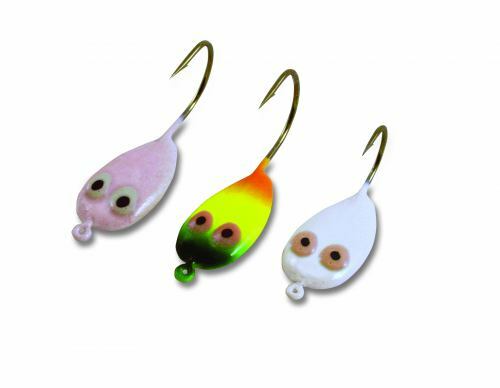 Featuring Greg's personal slip bobber selection for stop knots, jig bugs, & hooks. 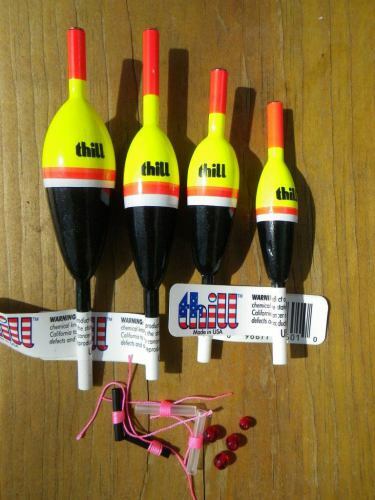 Includes (5) Northern Lights and (3) Aurora Borealis bead models. They're top quality "Ruby Red" & Solid Glass. 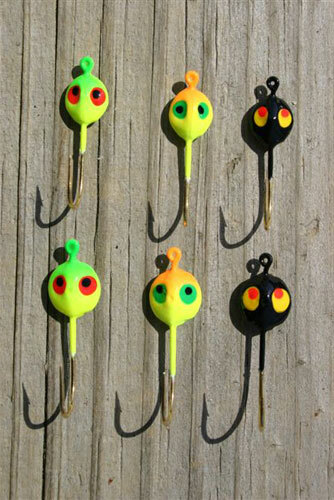 All beads feature the "Perfect Fit" inside hole diameter. Fits mono line #4 to #12 lb test. Your line "Slides Thru-Like It's Greased!". Bead rigging locations illustrated on individual sleeve containers. Flip Top Lids dispense one bead each time. Know where & how to apply them! 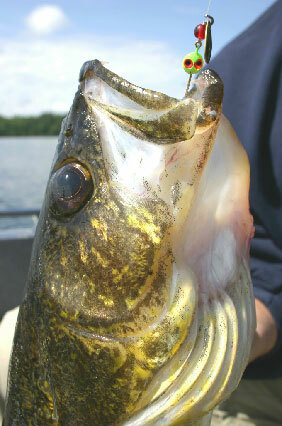 Clear Blister "Waterproof" tackle box is included. Order yours today!